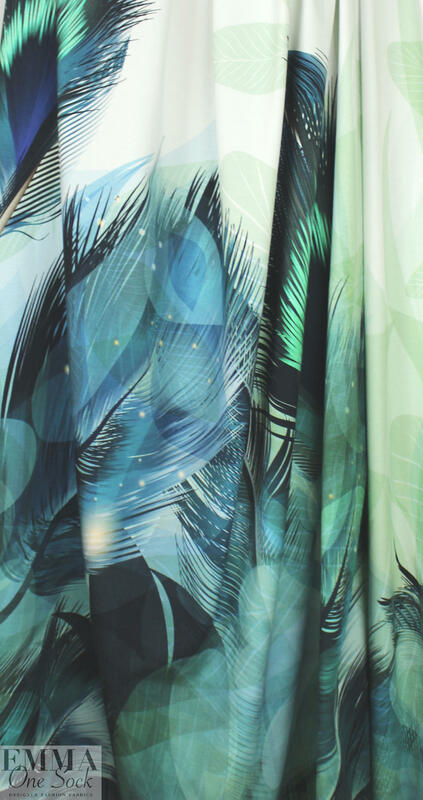 Here's another AMAZING cotton/lycra panel print imported from The Netherlands! 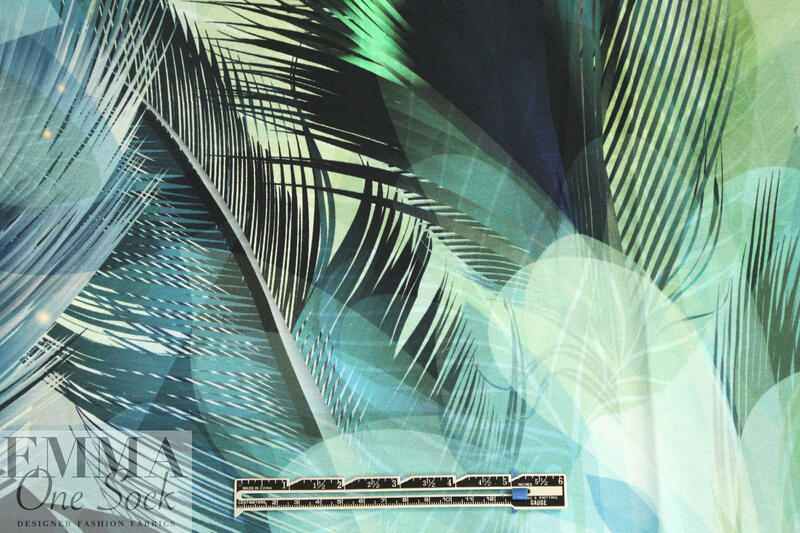 First, the quality of the fabric is sublime, soft and substantial, with about 50% stretch in both directions. 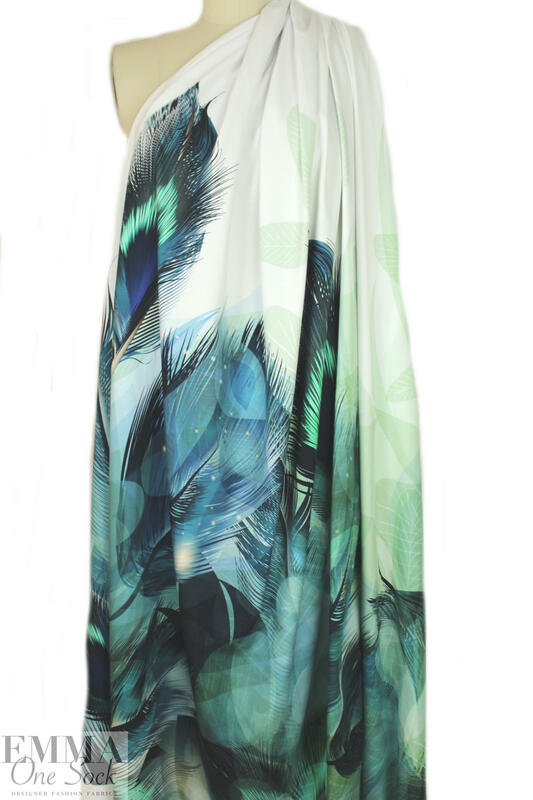 It is opaque and has a luscious hand and drape with body. 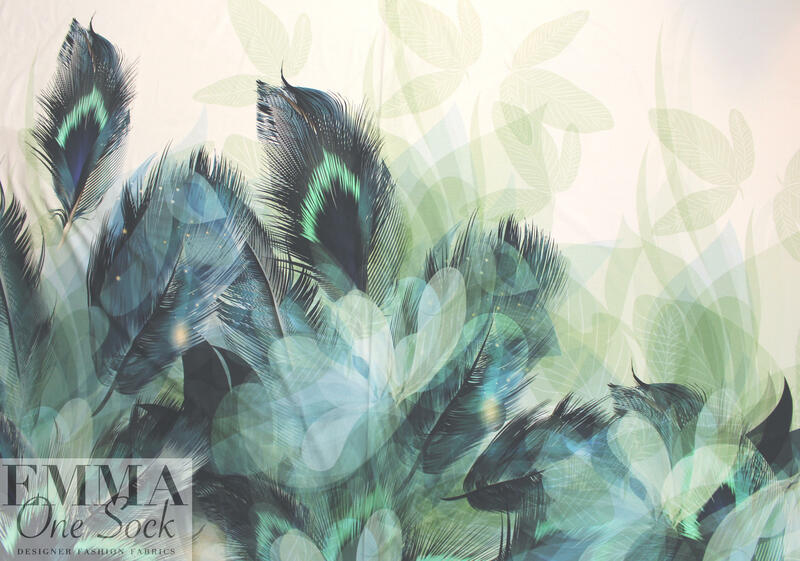 The digital panel print is equally sublime, a stylized peacock feather design with layered shapes and a brilliant coloring that has mixed shades of blue, aqua, teal and green (PANTONE 12-5504, 15-4421, 18-4612, etc.). There is more pure white at the top of each panel than appears in the photos. 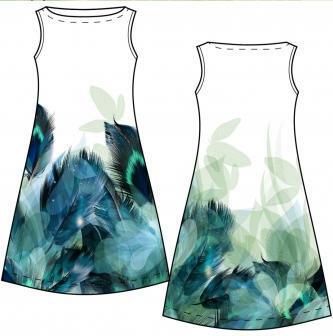 Make a very special tee, top, tunic, skirt, dress, etc. 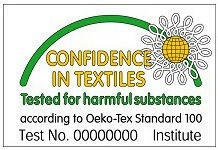 The manufacturer recommends hand or machine wash warm, hang to dry. Please test first.